My foray into tree stump design brought up some new entries into the birch category. 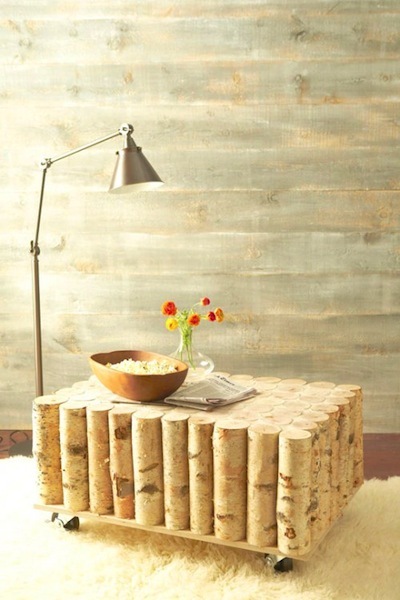 I have blogged about birch bark theme in design before. It is a recurring natural source of inspiration and will continue to resurface. 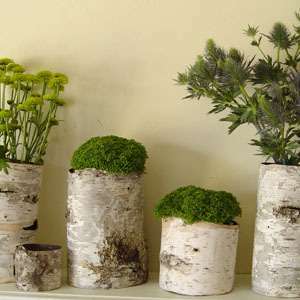 This first idea combines my moss gardening with birch trunks. I want to archive this for next year because I have a perfect place to start this in the spring. My moss project for the table was extremely successful this year. I was surprised at how long the moss has stayed vibrant green. The next image fits into many themes. 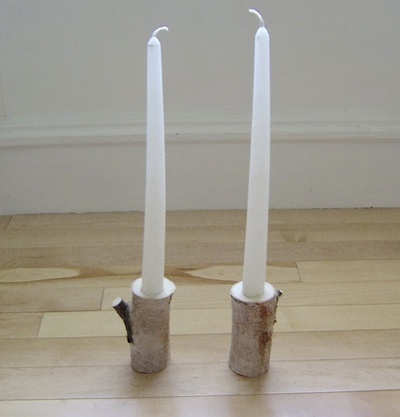 It uses the birch logs but I have noticed a trend to combine many small sticks/branches to create a surface. More on this later. And on a much smaller scale, simple candle holders using birch branches.